With all the products we sell for pregnancy through to toddlers, it was a natural progression for us to also offer a few related services. 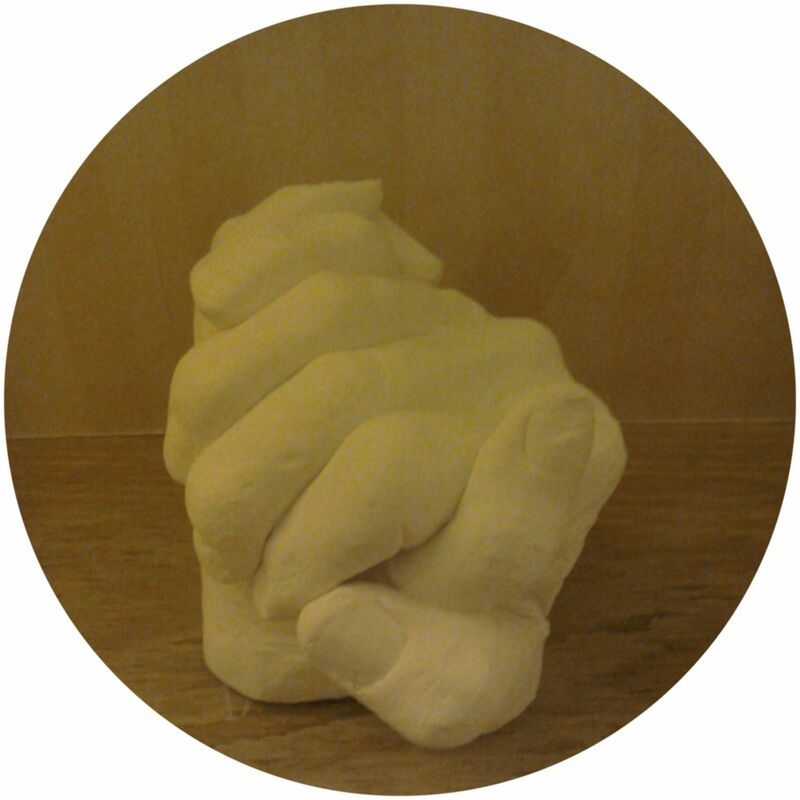 3D casting started as a hobby and, if I'm honest, a lovely way for me to relax. 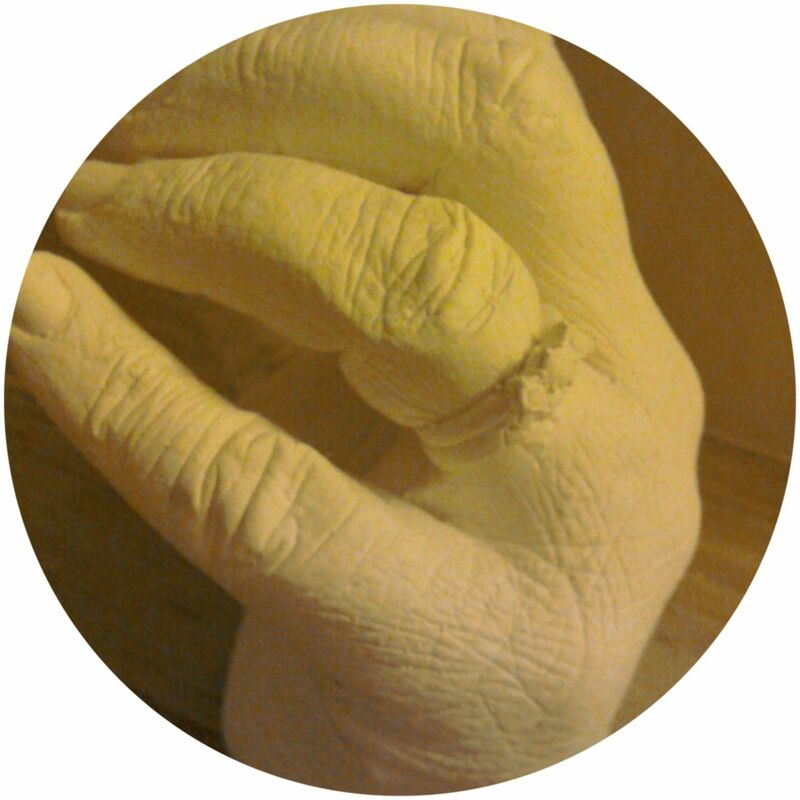 If you choose to use us to produce a 3D cast for you, then I really hope that we can make it an enjoyable experience for you too. So why have a casting made? An engagement clasp of two hands, showing off the ring of course. 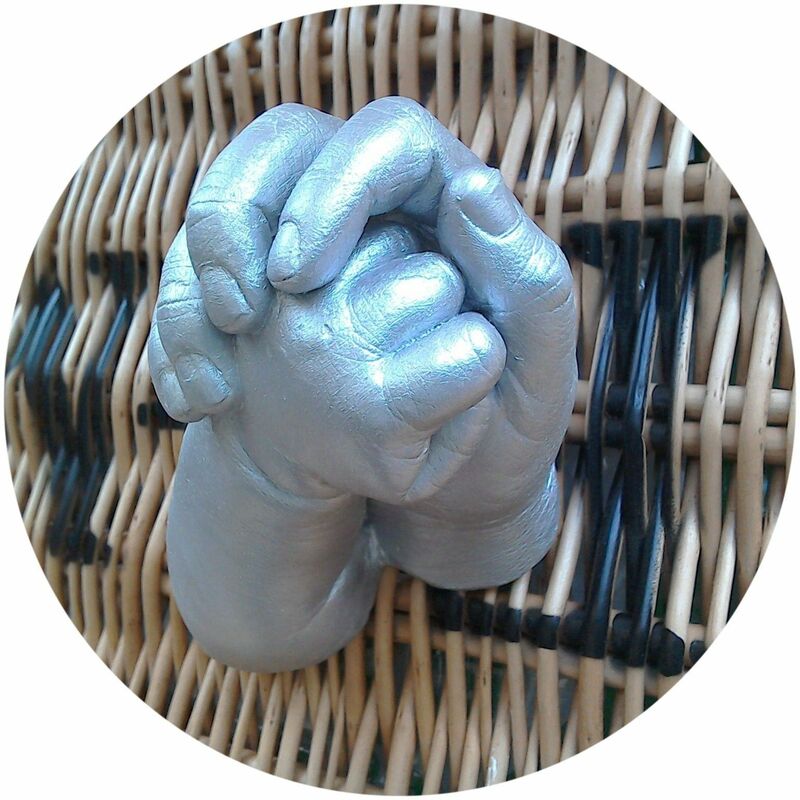 Have your cast 'as-is', to enjoy however you like (includes finishing and painting to protect it of course) - will you place it on a shelf or in a box? For those casts that are large at the base and attractive from all angles, such as hand clasps, then a plinth or similar base are ideal. Then place your cast on a shelf or table for all to admire. 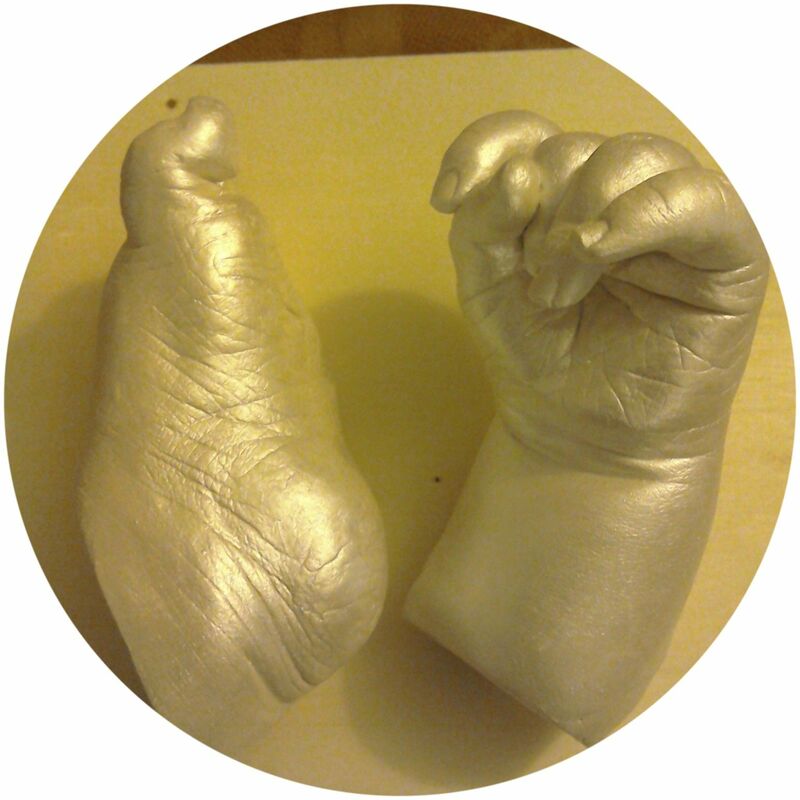 Smaller casts, such as baby and small child hands and feet can be mounted in a box frame and add to the art on your wall. Alternatively why not use them as bookends on a china plinth or wooden frame? 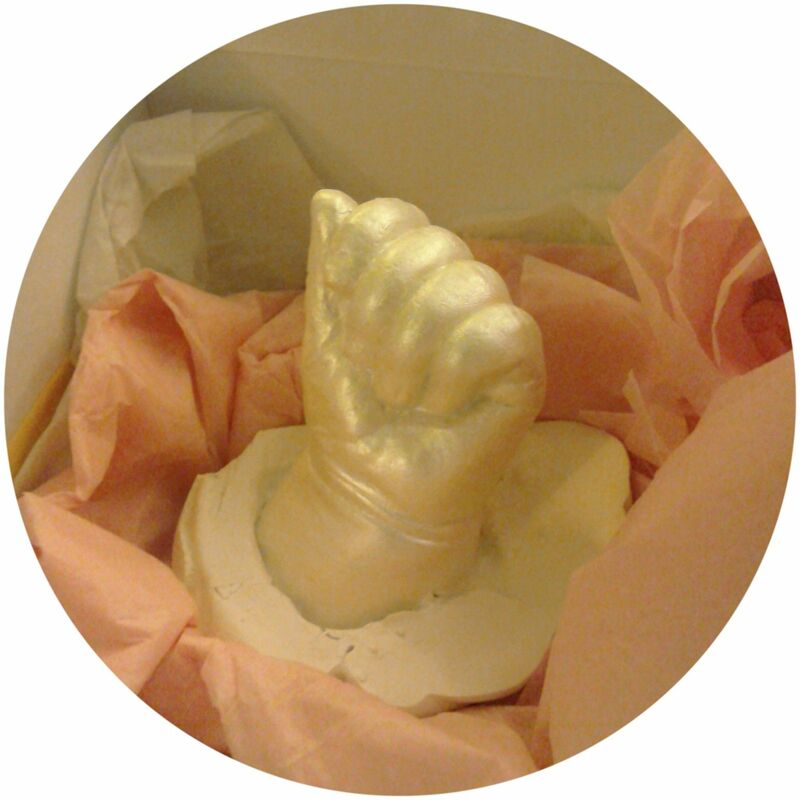 All castings, regardless of which display option you go for, are tidied up and finished with pearl, gold, silver, white or beige protective paint. Prices below are for the castings themselves (finished & painted). Plinths, frames, bookends, box etc. can be discussed and range in price from £2.50 (basic plinth) to £70 (large box frame). We have added a few options below for consideration and pre-order, if relevant. If you would like a lasting memento of your own and are in the Horsham (West Sussex) area, then we'd love to help.